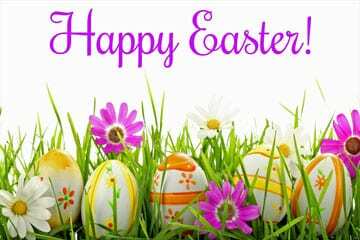 Looking for Easter events in Gilmer? Where? : The Gilmer High School Football Field (408 Bobcat Trail, Ellijay, GA 30540). In the event of inclement weather, the event will be held in the Gilmer High School Gymnasium. When? : Sunday, April 21, 2019 at 10 am through 11:30 am. The service begins at 10 am with an egg hunt following immediately after. This event is held by The Orchard Church (7288 Hwy 515 N Ellijay, GA 30540, 706-621-5160). When? : Wednesday, April 17, 2019 through Sunday, April 21, 2019. Wednesday’s service will be The Day of Silence & Communion, Thursday’s service will be on The Arrest, and Friday’s service will be on The Crucifixion, all at 6:30 pm. When? : Friday, April 19, 2019 at 7 pm and Saturday, April 20, 2019 at 3 pm and 7 pm. No tickets required. Doors open one hour before performance. Where? : 115 Pleasant Grove Road, Ellijay, GA 30540, 706-635-7504. When? : Sunday, April 21, 2019 at 7:30 am. Bible Study at 8:45 am, Worship at 10 am. More will be added as they become known! Happy Easter from Fetch Your News!